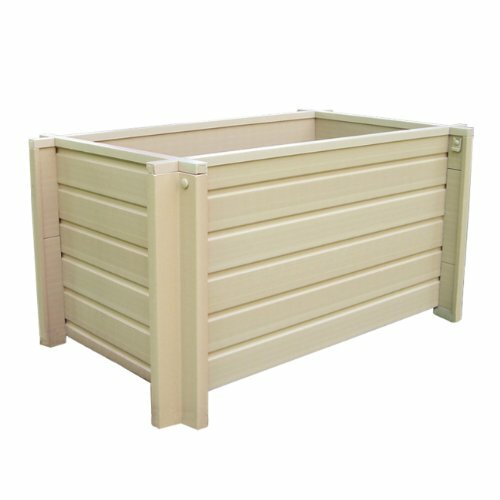 The Eco Choice planters are all made from New Age's exclusive Eco FLEX composite material composed of recycled polymers and reclaimed wood fibers. In addition to being truly green, Eco FLEX offers a long list of benefits starting with extended durability. Since they are All Proof, they are resistant to any and all natural causes. They are moisture proof, won't dry rot and can't be infested by insects. Additionally, they are extremely stable and won't warp, split or crack. Eco FLEX is also completely non-toxic and is naturally anti-microbial. New Age Eco Concepts planters are engineered for easy assembly in minutes without the need to open to tool box. Eco FLEX has a high wood content so it can be painted with any exterior latex paint or stained with multiple applications of an oil based stain. Attractive and styled to work with almost any exterior design scheme, their longevity makes them the best buy in planters. Available in 18" x 18" Cube and 30" x 18" & 42" x 18" Rectangular models. All are 15" tall. If you have any questions about this product by New Age Pet, contact us by completing and submitting the form below. If you are looking for a specif part number, please include it with your message.